Delightful raspberry tarts and honeyed rolls materialize on glistening dishes on the dining table to either side of you, followed a second later by a plate of your favorite wine soaked chicken directly in front of you, its aromatic steam wafting up in the frigid-not-frigid air of the Munaqsri's Arctic palace. Your sigh of contentment is interrupted by the hungry slurping coming from across the long table where bits of seal gut and blood stain the formed snow. You sigh again, this time with a little self control and a heart full of endearment. You did marry a polar bear after all. 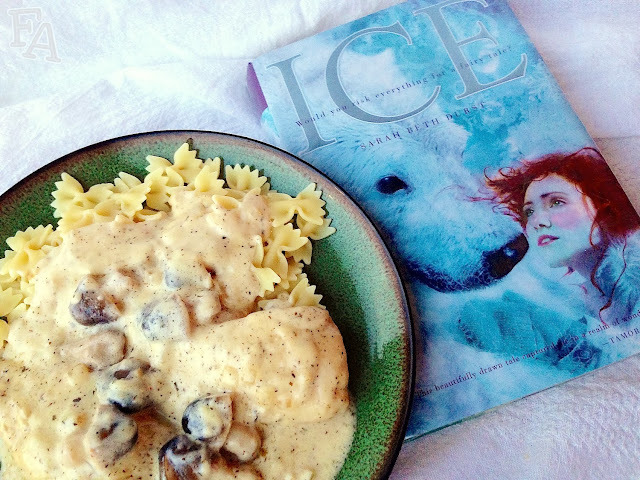 In Sarah Beth Durst's beautiful Arctic fantasy novel Ice (reminiscent of East of the Sun, West of the Moon, Beauty and the Beast, and White Bear King Valemon), the meals and foods are often used to enhance the meaning of a scene or to bring further understanding of a character or setting. 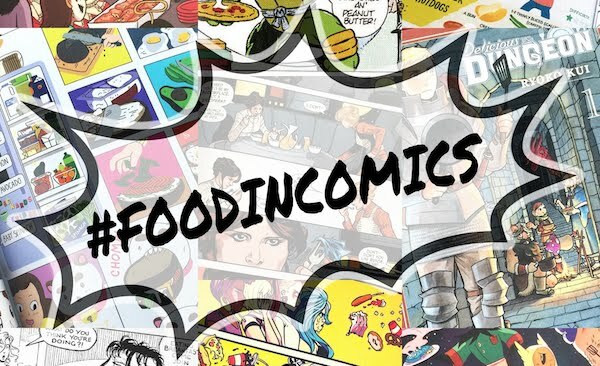 Comfort and the facade the facade thereof, and desperation and providence, among other themes, are shown through food or meals via Durst's succinct and engrossing writing style. 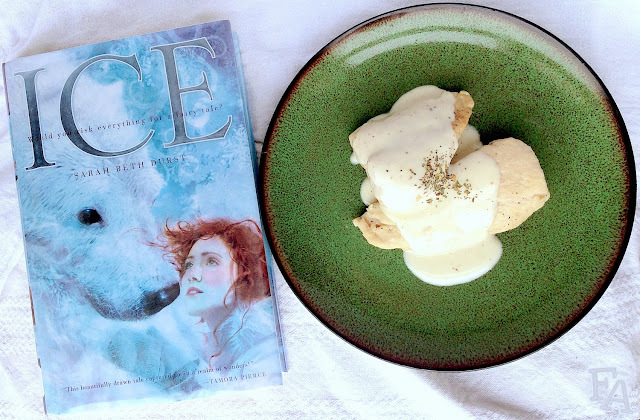 Read my review of Ice here. Note: The favorite chicken meal in the story is simply described as being "wine soaked". 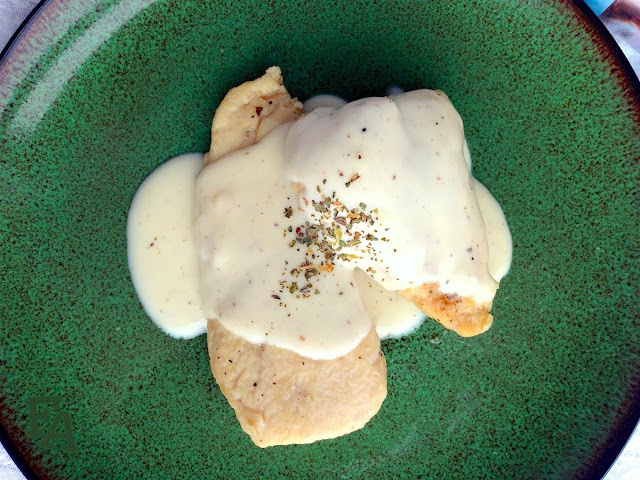 Because the dish is served in the Arctic, science-magic palace of a polar bear spirit caretaker, and because I love creamy sauces, I decided to not only marinate the chicken in white wine, but also to cover it in a creamy white wine sauce (and obviously I chose white wine instead of red). Another very important point to note, this dish can be non-alcoholic (because even heated, alcohol doesn't entirely cook off). Instead of using wine, use a mixture of white grape juice and white vinegar! This makes for a wonderful and unique flavor. I adore it. 1. Remove the fat & yucky bits from the chicken & then slice them however you'd like (medium, bite-sized, or leave whole). Place the chicken into a sturdy plastic baggie or a plastic dish with a lid in which the chicken can lay flat. Whisk together all of the marinade ingredients & pour the resulting mixture over the chicken. Close the baggie or container & toss (or squish in the case of the baggie) to coat & then refrigerate for several hours or overnight. 2. Remove the chicken from the fridge & pour out the marinade (there are bits of chicken stuff in the marinade that will make the sauce look gross if you reserve it. So just go ahead & pour it down the drain & we'll start fresh for the sauce in step 3, okay?). Heat a little bit of olive oil in a large frying pan over medium heat & fry the chicken about 5-6 minutes each side. Times vary depending on the size of the chicken pieces. Make a little slice into the thickest part of the chicken to make sure the inside is cooked (no pinkness). You can also grill the chicken for about 5 mins per side or bake for about 15 mins at 375°F, but again the times are totally dependent upon the thickness of your chicken. Once the chicken is done transfer it to a serving dish. 3. 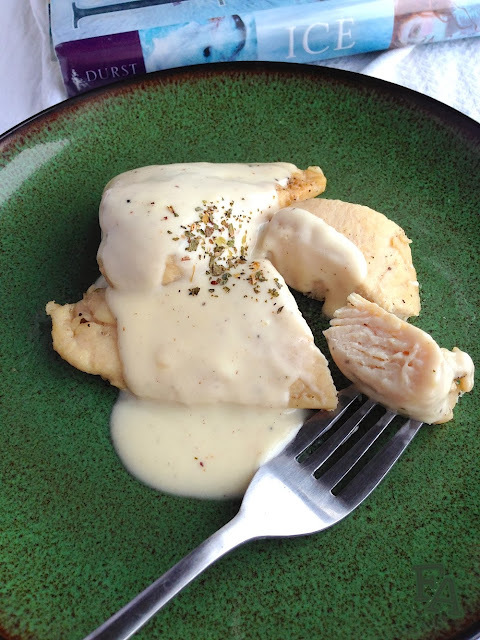 Thoroughly whisk together all of the cream sauce ingredients except for the salt & pepper. 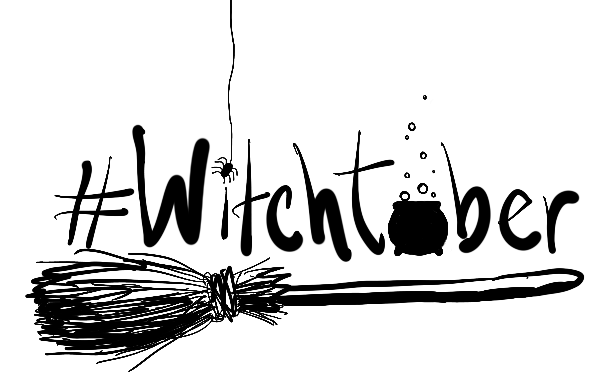 Pour the sauce into a medium pot over medium high heat & bring to a boil, stirring constantly. Continue to cook until the sauce thickens. Stir in the cracked pepper & salt to taste. Turn heat to low & let thicken even more, continuing to stir. Spoon over the chicken or serve in a gravy-type dish on the side. You could alternately stir the chicken into the cream sauce, especially if the chicken is cut into cubes. Wonderful with pasta & mushrooms!